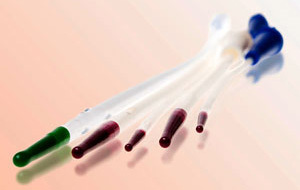 HunterCath is a non-coated DEHP free catheter with a smooth flexible tip. The superb feature of the HunterCath is the flexible tip. This ISC catheter can be used for a variety of patients who have difficulty with urethral insertion. Also suits those with a Continence Urinary Diversion also known as a Mitrofanoff, or for men with enlarged prostates. The eyelets have been developed so they are smooth and rounded which makes the catheter easy to insert and remove. 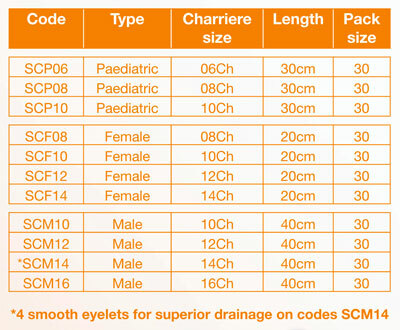 The SCM14 has four eyelets for superior urinary and mucus drainage.